Nothing tests – or strengthens – this relationship like the birth of a baby. 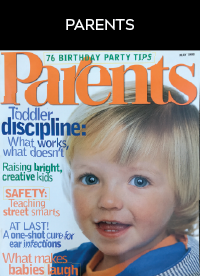 I can remember just about every time my mother praised my skills as a parent. It’s not that the times were so few – it’s just that her words of approval mean so much to me. Just recently, my mom and I were sitting at my kitchen table about to give dinner to my two daughters, Nicole, 4, and Emily, 2. Emily demanded to eat hers on the family-room couch in front of the TV, and when I told her no, she cried and threw her first full-fledged tantrum. I ignored her tears, and after five minutes of pure hysteria, Emily calmed down and came to join her sister at the kitchen table. “How did you do that?” my mom asked admiringly. “I never would have been able to hold out like that.” I felt as if I had just won the Academy Award of motherhood. After my first child was born, the bond my mother and I shared quickly took on a new dimension and complexity; we were no longer just mother and daughter but mother and mother. My giving birth granted me a new status, wherein we could be equals. We had both passed a major adult milestone. But what I didn’t anticipate was how many new strands would be woven into our already intricate relationship. Suddenly I wanted to know more about my mother’s history: How had she adapted to motherhood? Did she feel isolated? To whom did she go for advice? I longed for her guidance, yet I felt ambivalent. Part of me wanted to show her I could make the decisions about my baby’s care all by myself. 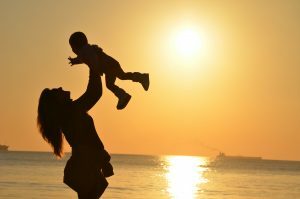 “The mother-daughter dynamic is extremely complicated, and for some [having a baby provides the] perfect window of opportunity to re-evaluate the relationship,” says Marilyn Irwin Boynton, a family therapist in Toronto and coauthor of Goodbye Mother, Hello Woman: Reweaving the Daughter-Mother Relationship (New Harbinger). It’s natural for new mothers to compare themselves to their own mothers. Often we analyze which behaviors we’d like to emulate and which we’ve sworn absolutely never to repeat. A common interest in your child can bring you and your mother closer than ever. “Daughters want to do better than their mothers did, but the realities of parenthood – the fatigue and frustration – make them less judgmental in their criticism,” says Naomi Lowinsky, Ph.D., a Jungian analyst in Berkeley, California, who specializes in women’s issues. 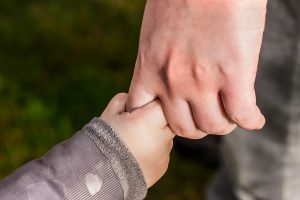 “You may have promised yourself you’d never tell your child to do something ‘because I said so’ – and suddenly those very words are coming out of your mouth.” This doesn’t mean that you can’t choose to be different from your mother, says Lowinsky. It just takes a lot of work to change behavior that is so deep-rooted and automatic. As you move through this stage in your life, there are bound to be new issues that surface between you and your mother, as well as old ones that remain unresolved. 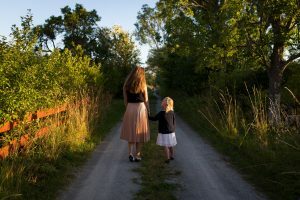 You’re destined to fluctuate between both of your roles – daughter and mother – reflecting on your past and present and creating a new identity for the future. Motherhood adds yet another layer of complexity to the mother-daughter bond. Only this time, there’s a lot more room for friendship. It’s thrilling to see your love for Mom reflected in your child. Your style may be different, but she needs to respect it. Motherhood puts you on equal footing. Your child will benefit from close family connections. New mothers often analyze which behaviors they’d like to emulate and which ones they’ve sworn never to repeat. What if you’ve spent the past nine months envisioning a doting grandmother who’s happy to be at your beck and call? Then the baby arrives – and your mother doesn’t even come close to fitting that description. There are several reasons why your mom may not meet your expectations, says Naomi Lowinky, Ph.D., a psychoanalyst who specializes in women’s issues. Try talking with your mother as early as possible about what type of involvement you both envision for her as a grandmother. She may not want to babysit on weekends, but would be happy to take your family out for dinner; or she may pitch in, provided you bring the baby to her house. Remember that your baby has also changed your mother’s role in life, and it may take time for her to adjust. And just as there’s no such thing as a perfect grandmother either.